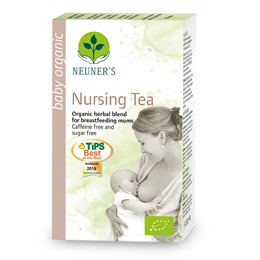 Neuner`s Organic Herbal Nursing Tea may help to increase milk supply, It`s award-winning formula is calming for both mother and baby. 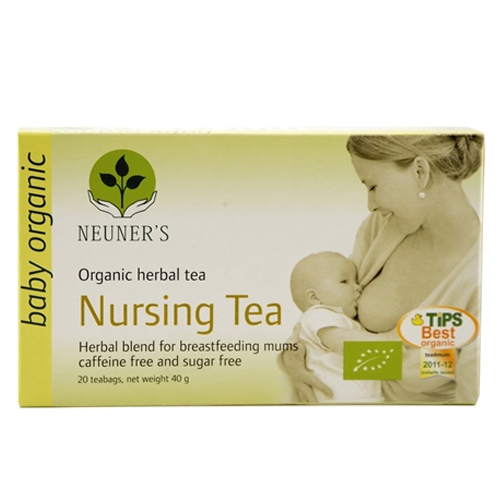 Neuner`s organic nursing tea is made from a premium mixture of organic herbs and is specifically blended to support breastfeeding mothers. It allows mother and baby to relax and unwind. Aniseed, Fennel, Verbena, Caraway, Fenugreek Seeds (11%). Below are reviews of Neuner`s Organic Herbal Nursing Tea - 20 Teabags by bodykind customers. If you have tried this product we'd love to hear what you think so please leave a review. Helps me with breastfeeding and tastes nice. My favourite tea from all I’ve tried so far. Neuner`s Organic Herbal Nursing Tea will help to increase milk supply, It`s award-winning formula is calming for both mother and baby.